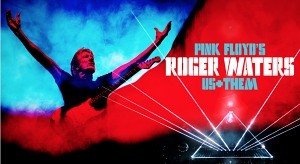 [UPDATED] Some great news for our friends down in South America - a total of eleven dates so far have been announced for that region, as part of the Roger Waters 2018 Us + Them tour, with tickets going on sale in most cases next week. There are shows announced for Brazil, Uruguay, Argentina, Chile and Peru, although the show in Lima (whilst it has a date) does not yet have a confirmed venue. All eleven shows will be held in stadiums, so we are presuming they will be the large, outdoor version of the show, to be seen next July in the European cities of London, Lucca and Rome. More dates in South America are due to be revealed in due course. Dedicated pages for each newly announced show on the tour are now live, joining the show pages already shown in the 2018 Roger Waters tour area. If any further dates on the Australian/New Zealand/European/South American tour are announced, a page for each concert will be in place: the location to find out information on each show, and to see, once the concert has taken place, pictures, video and commentary. All content except where noted otherwise is © Brain Damage/Matt Johns 2019. Please see 'About Brain Damage' page for legal details and the small print!